The Ster 768 from Fly London is a stylish boot with high lacing, a boot guaranteed to add a vintage edge to any outfit! The laces snake all the way up the shaft of the boots through a combination of hook and eyelet fastening, but slipping into the boot is kept simple by using the side zipper. 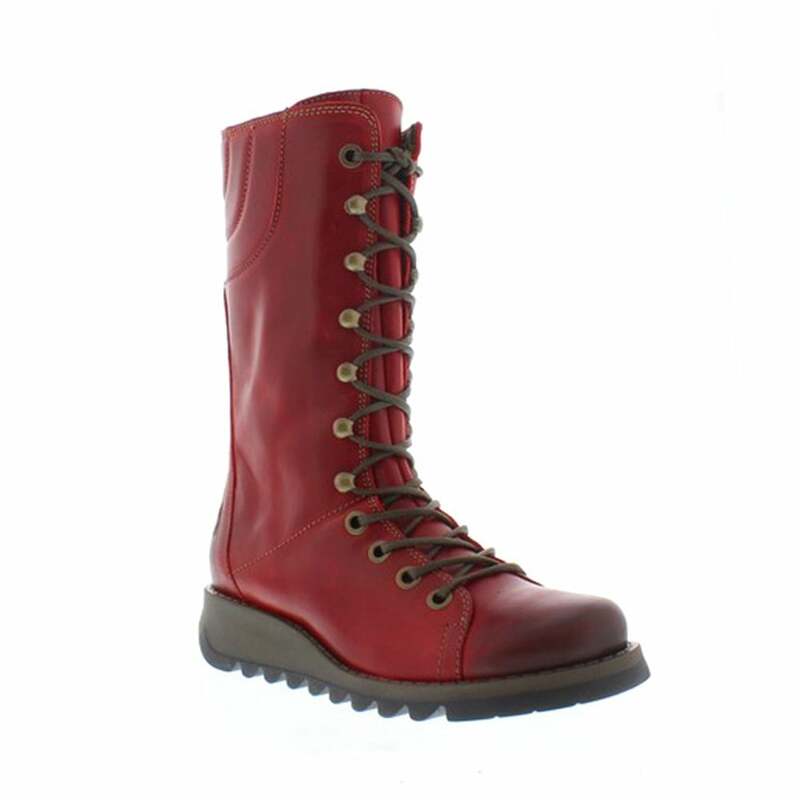 The Fly London Star 768 boots are made from leather and feature a 4 cm wedge heel. The Ster 768 will see you through season after season. Get yours today from Scorpio Shoes.